Fuel reimbursement is just one example of an employer reimbursing business expenses. If you use your own vehicle as part of your job, your employer may reimburse you for part or all of your expenses, such as what you spend for fuel. Depending on how your employer treats these reimbursements will affect how you must handle them when you file your income taxes. If your reimbursements are considered taxable income, you can offset this income by claiming a deduction for the actual expense. If your gasoline reimbursements are shown on your W-2 form, you will report the reimbursements as income under the wages, salaries and tip section of your income tax return. For Form 1040, this is line 7. Claiming these reimbursements in this manner means that you will pay taxes on these reimbursements as regular income. This means you need to make sure you offset these reimbursements by claiming a deduction for your actual expenses whenever possible. If your employer operates an accountable plan for reimbursement of employee expenses, you will not need to report the reimbursement on your income tax return, and you will not be eligible for a deduction for fuel expenses. An accountable plan has key characteristics, the most important of which is that you must adequately account to your employer for these expenses within a reasonable amount of time. Generally, you do this by submitting copies of receipts and possibly also completing an expense report. With an accountable plan, you also must return any excess reimbursements to your employer. Some companies issue their employees a company credit card to facilitate easier payment of expenses. The employee is often fully responsible for any charges made on these cards, and the card company may submit electronic receipts directly to the employer for accounting purposes. If these receipts give sufficient detail as to the nature of the purchase, they qualify as part of an accountable plan, meaning the reimbursements do not need to be reported on the employee's income tax return. 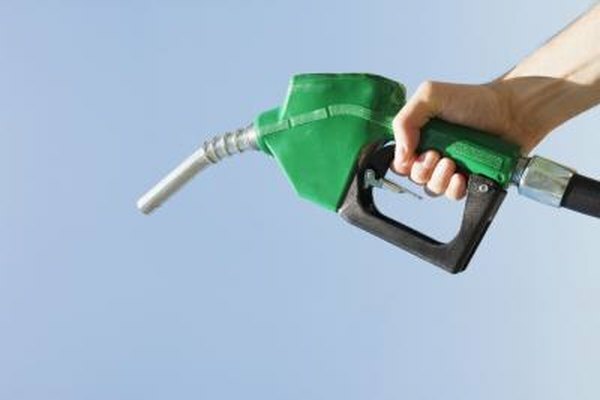 Fuel expenses are part of your employee business expenses, which are deductible on Form 2106, Employee Business Expenses. You can choose to claim expenses at a flat rate per mile, which is 56.5 cents per mile you drive for business as of publication, or you can claim the actual expenses that you incur for your vehicle, pro-rated to reflect the percentage of business use of your vehicle. If you use your vehicle 10 percent of the time for business, 10 percent of your actual expenses are deductible. You must keep records detailing your mileage driven in your car and how much of that mileage is job-related. Employee business expenses are only deductible to the extent that they exceed 2 percent of your adjusted gross income.